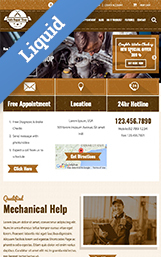 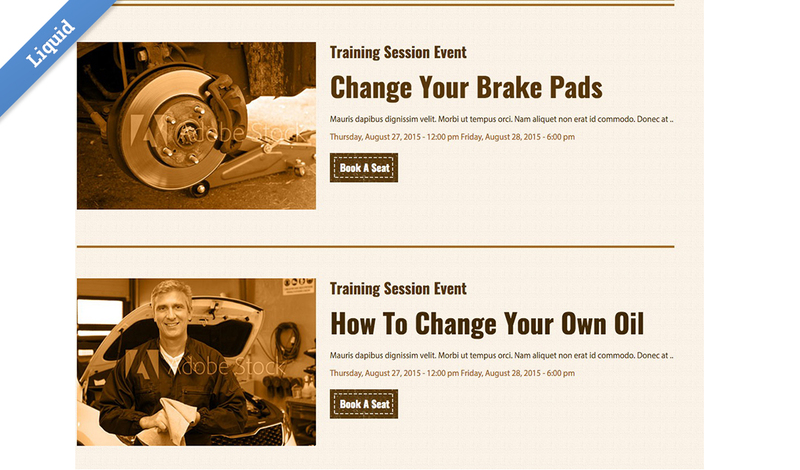 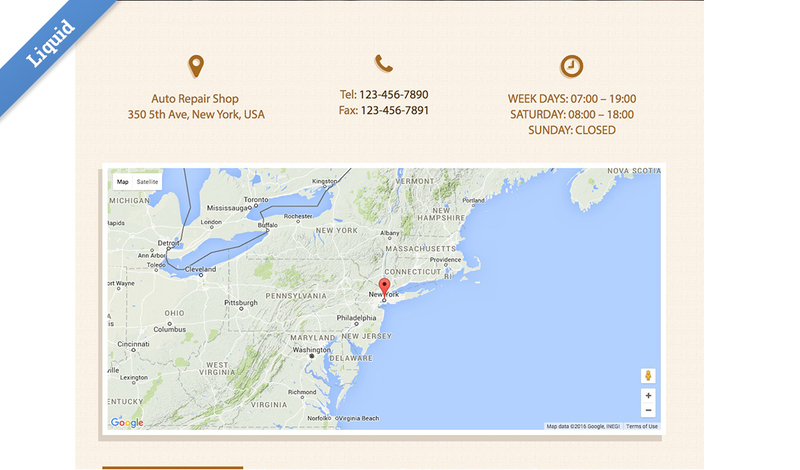 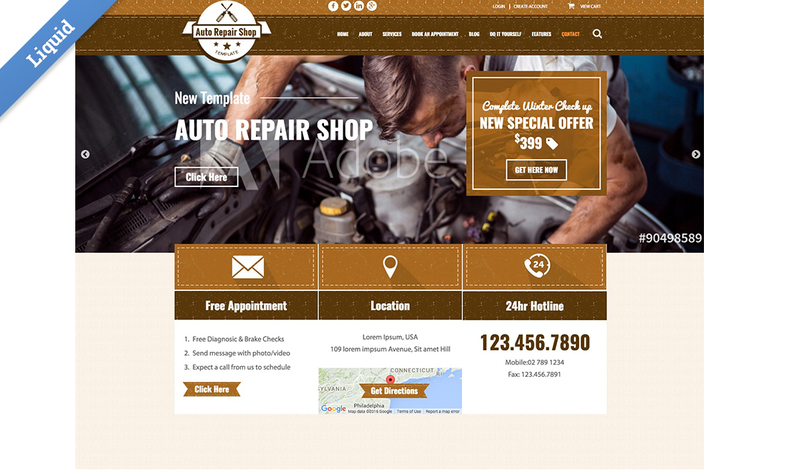 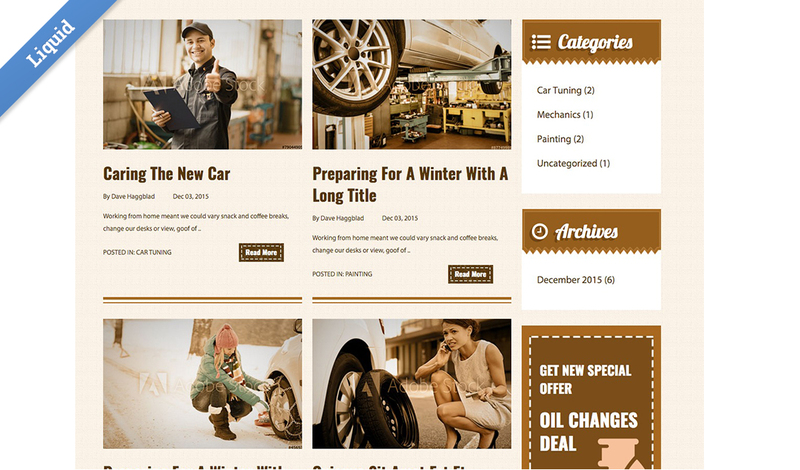 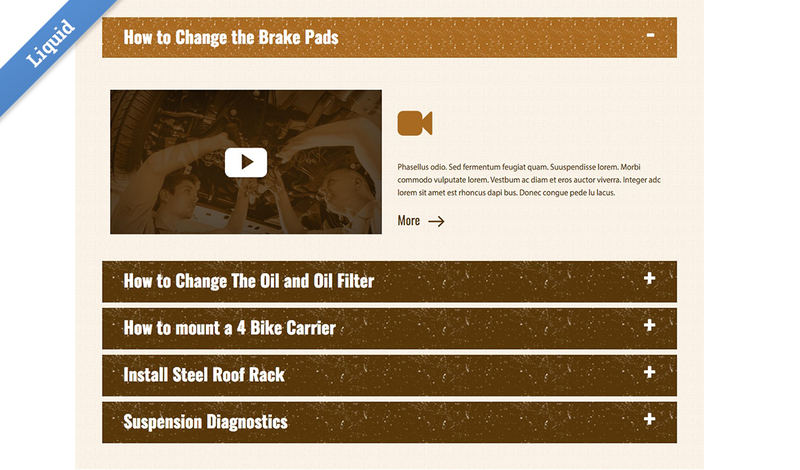 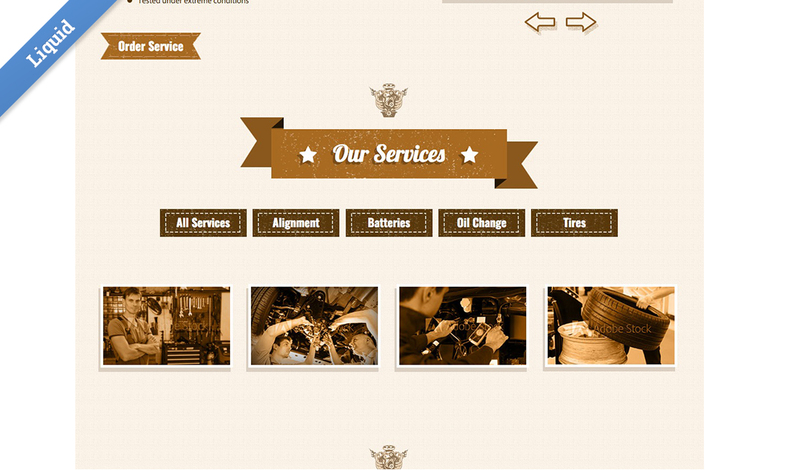 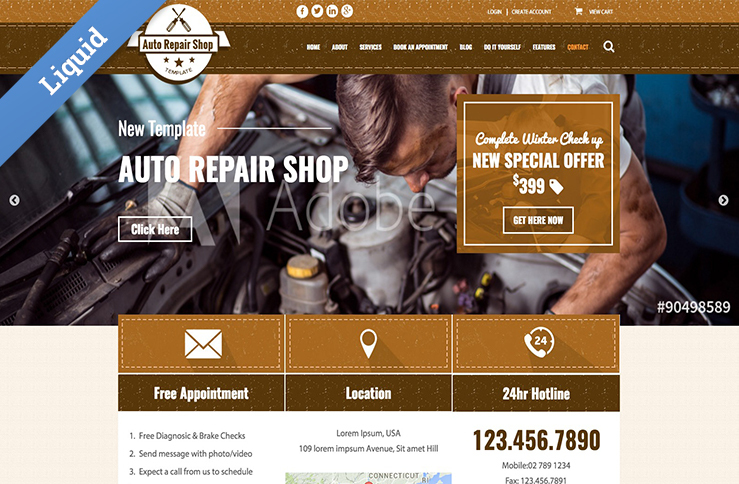 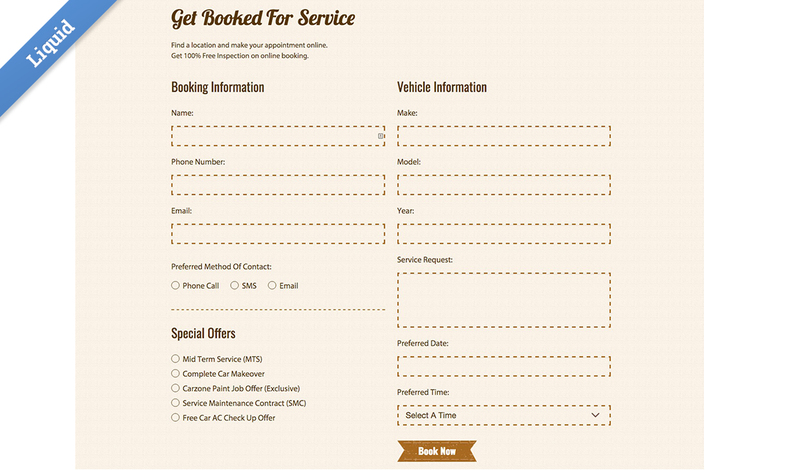 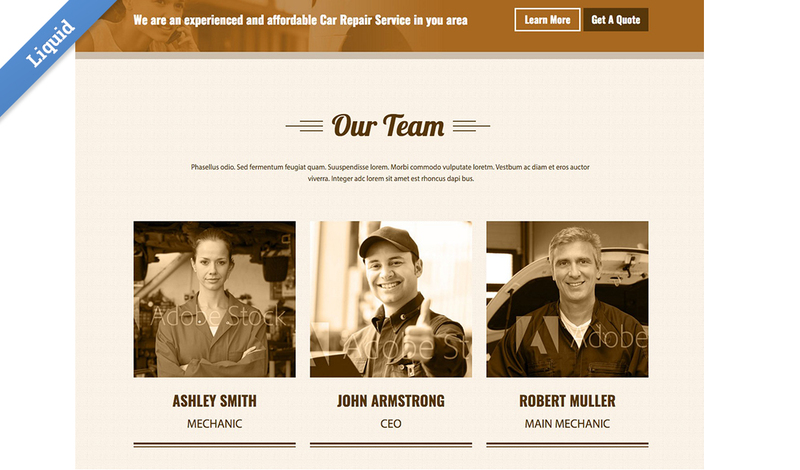 This template is themed for a vintage look Auto Repair Shop. 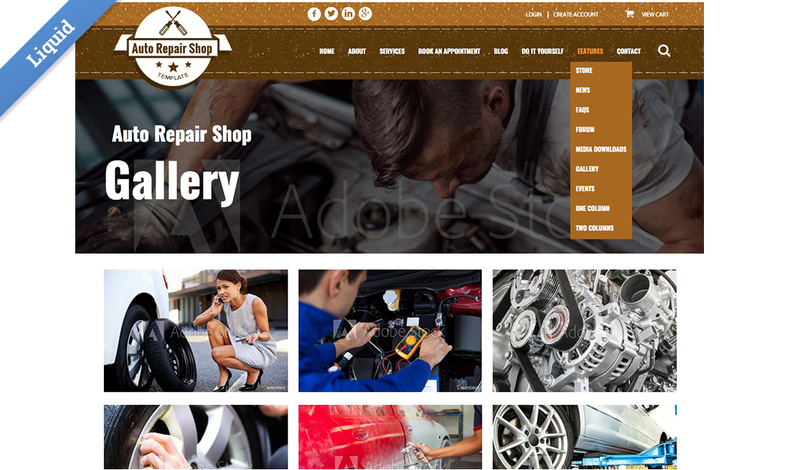 The template is designed to present the services offered by the shop as well as offering educational videos or even training sessions for those that want to do it themselves. 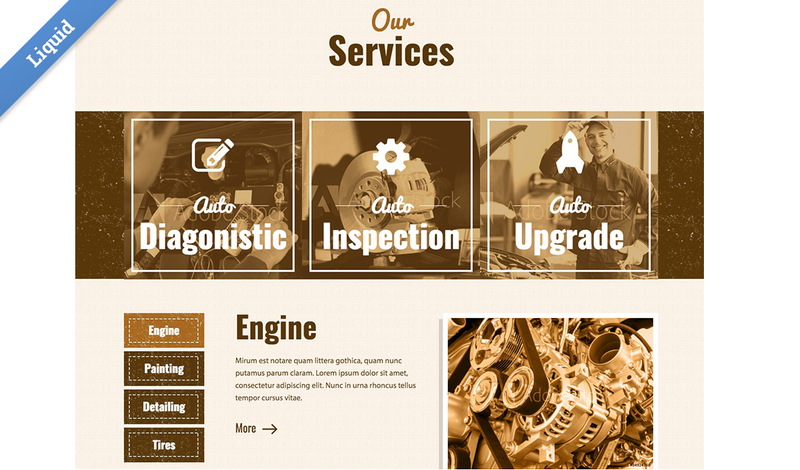 The Home Slider, Car Care Tips, Team, Services and Training Video sections are all web app driven, making it easy for you and your client to quickly add and update content.